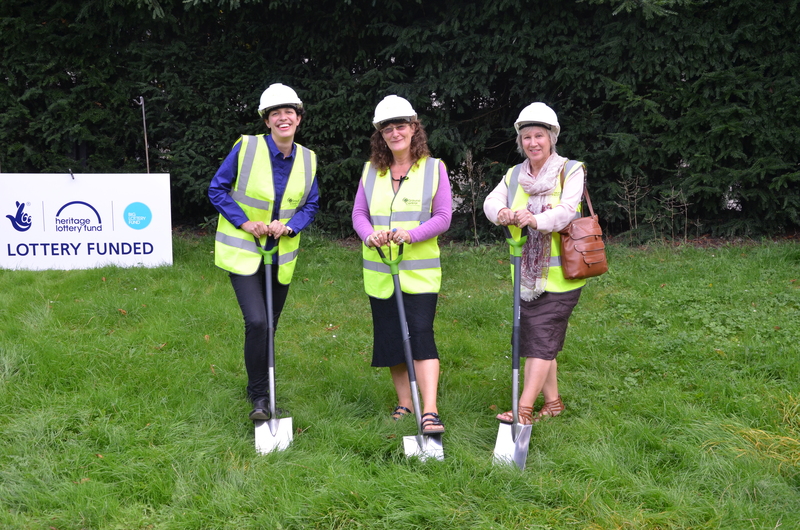 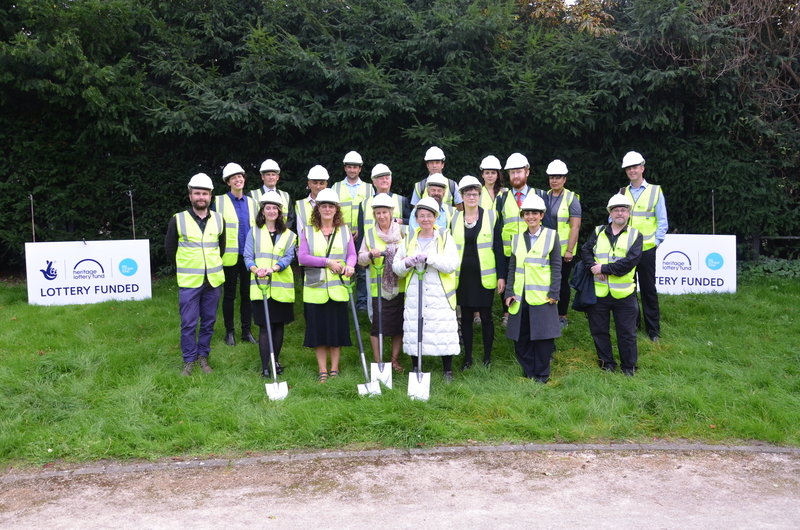 Alexandra Road Park – groundbreaking ceremony, September 2014. 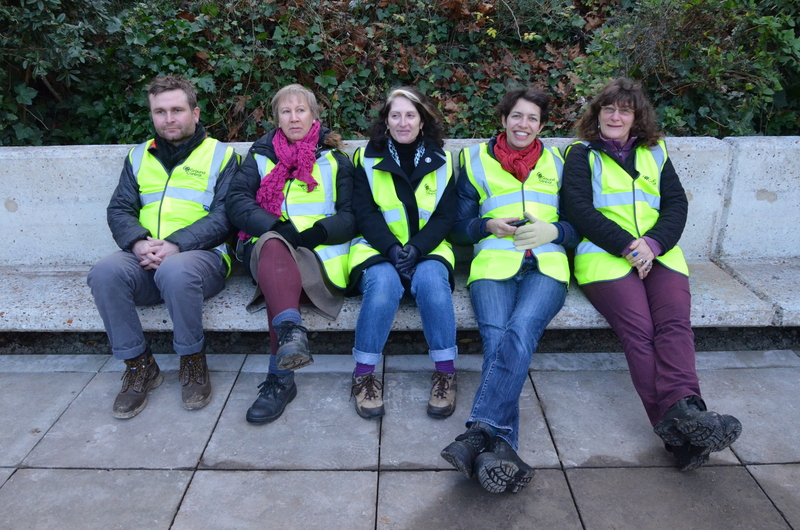 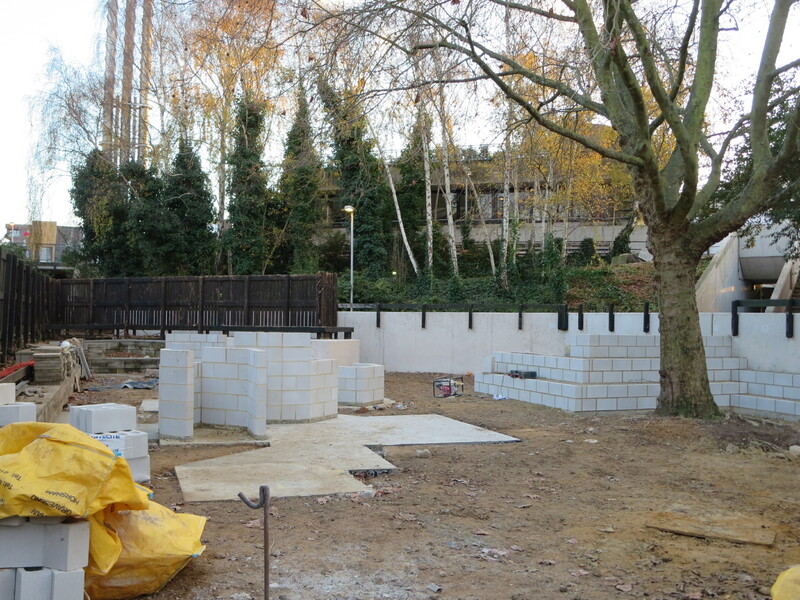 December 2014 – Site visit by the project management team to see the works on site. 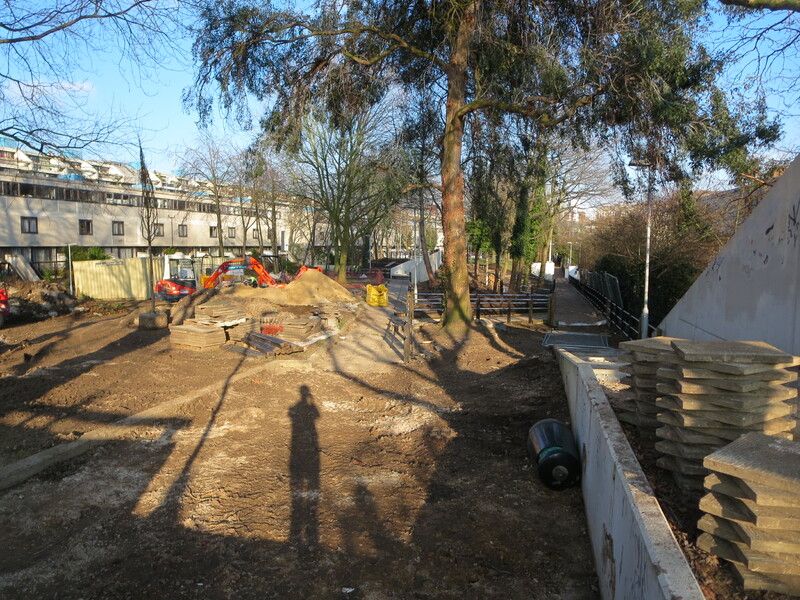 Almost all of the clearance and demolition has been completed, and they contractors are now starting to build the new elements and prepare for the new planting. 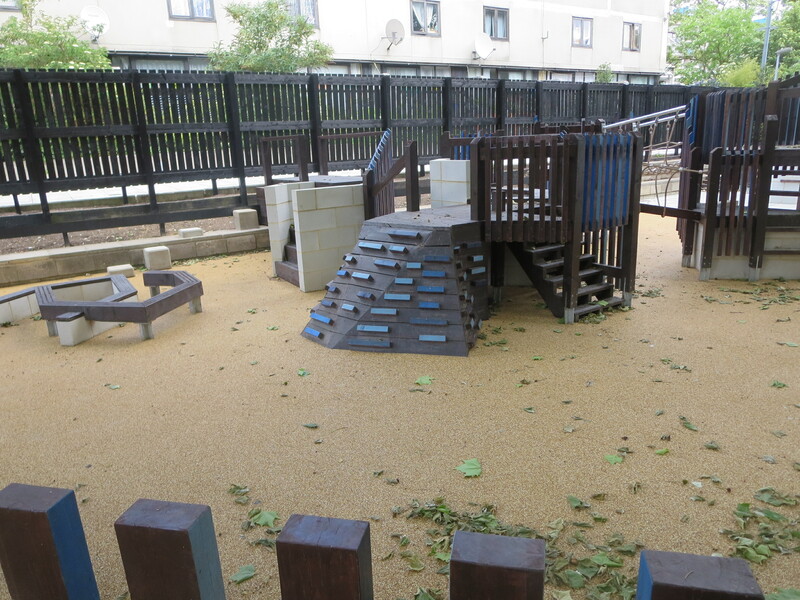 The babies playground, with a view of the TRA hall through the silver birches behind. 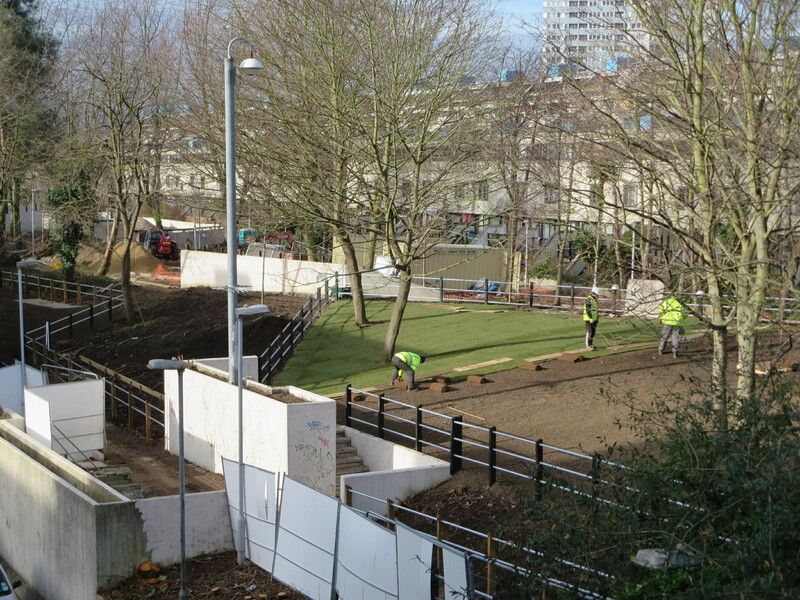 the meadow – the works site! 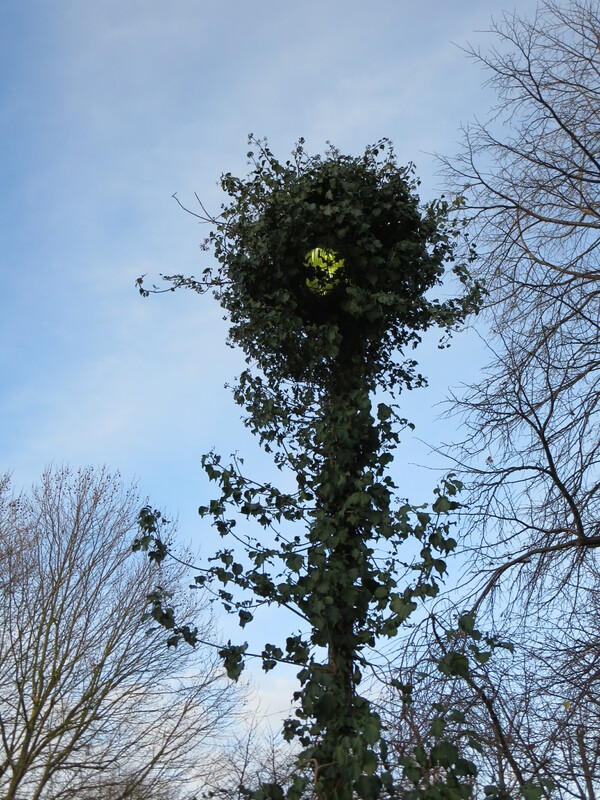 nobody realised there was a light under there!! 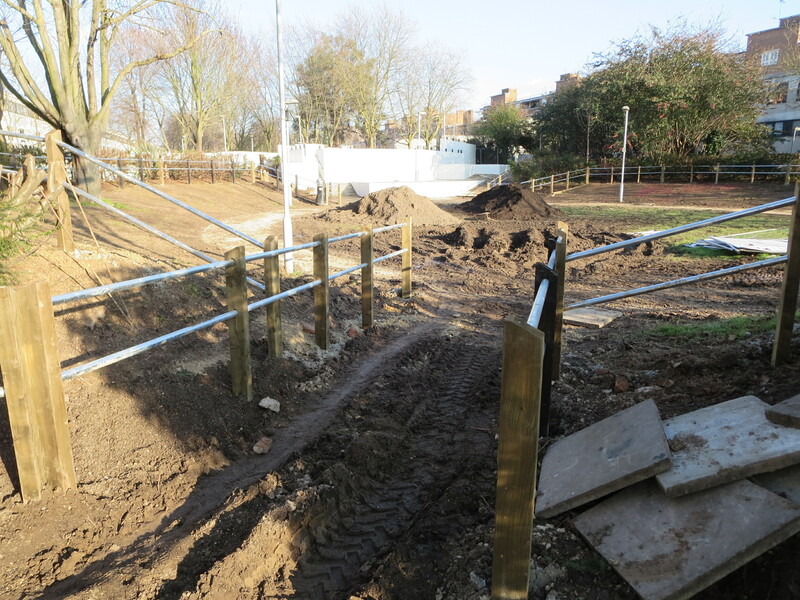 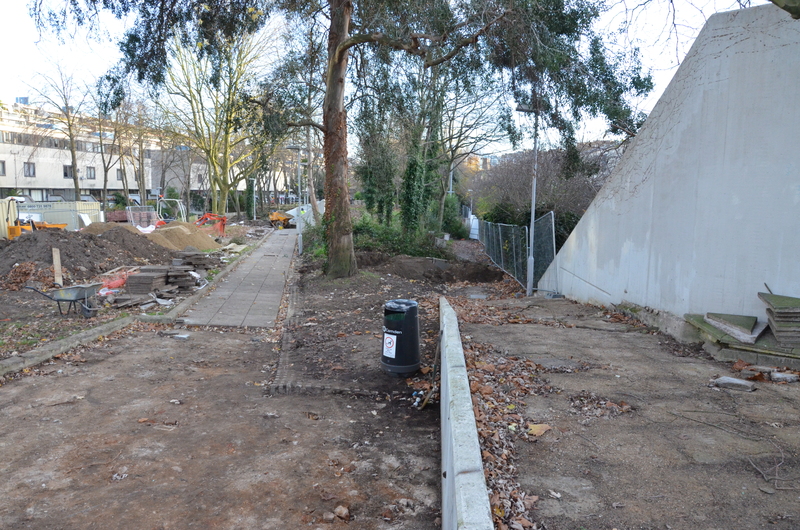 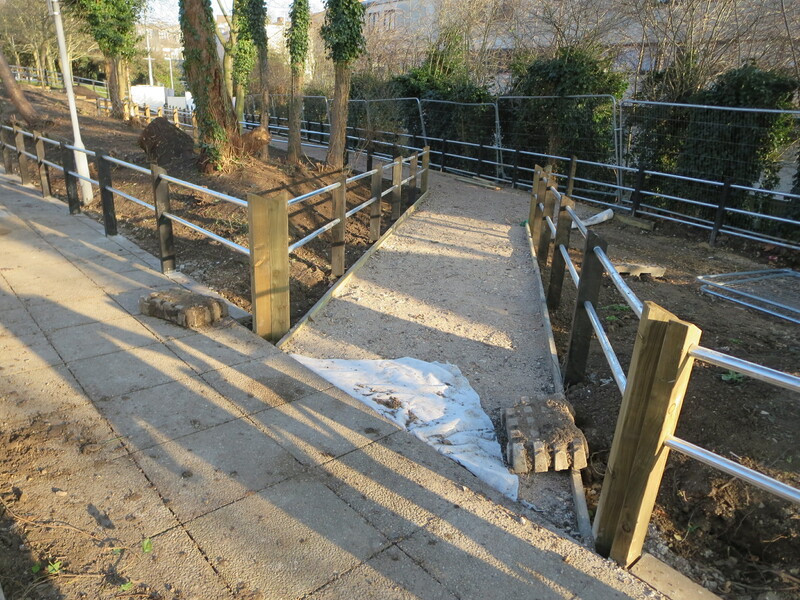 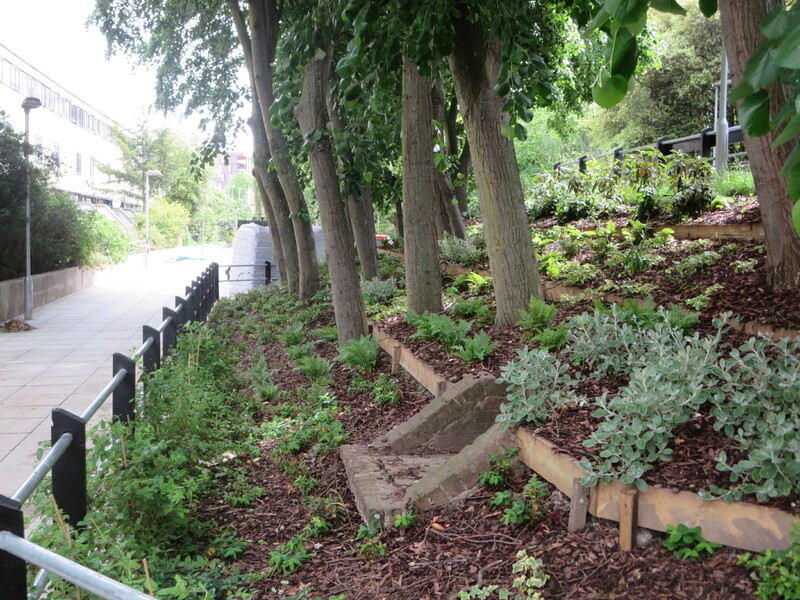 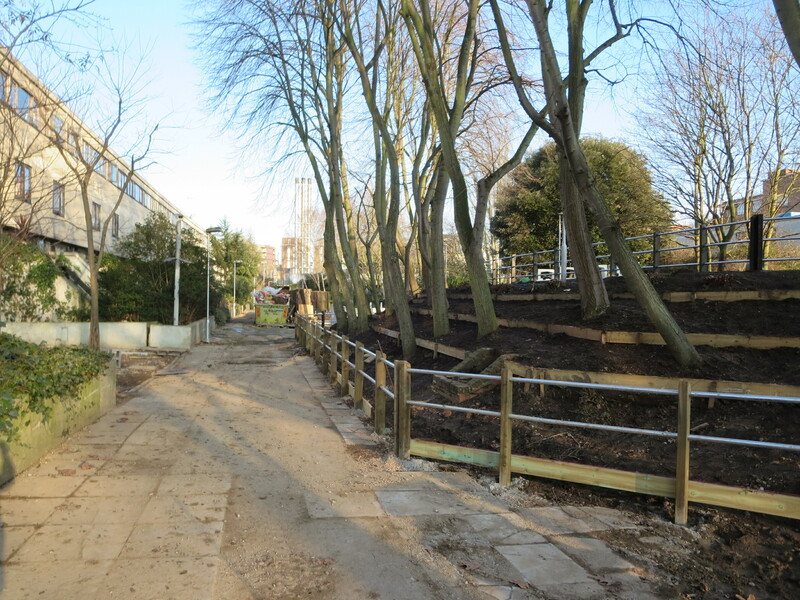 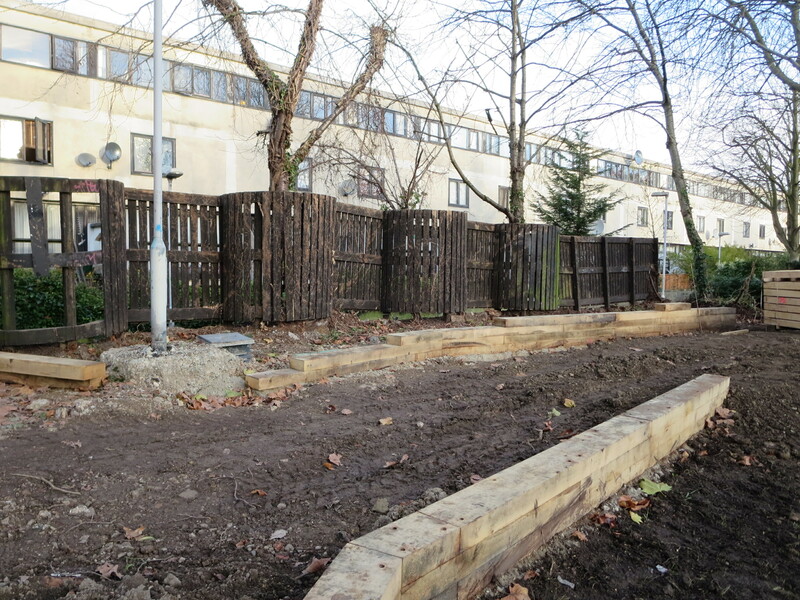 January 2015 – The Mound has been transformed by extensive coppicing of the shrubs around it, brand new post and rail fences and the new turf is being laid. 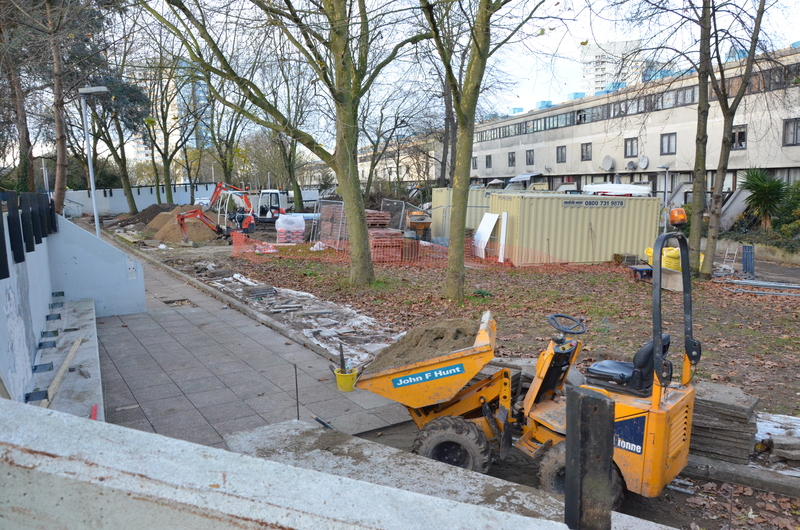 It is almost unrecognisable – and looks amazing!! 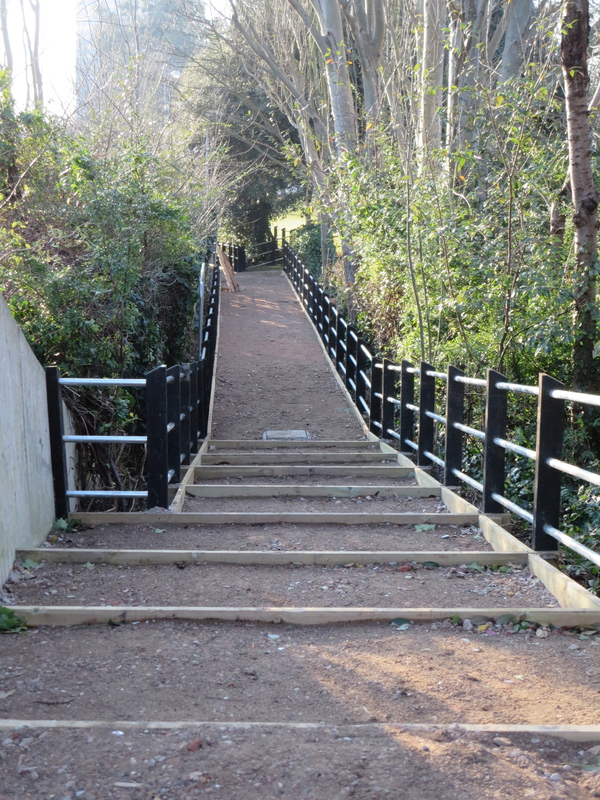 The coppicing of sections of the woodland walk has also opened up wonderful new views of the park for residents. 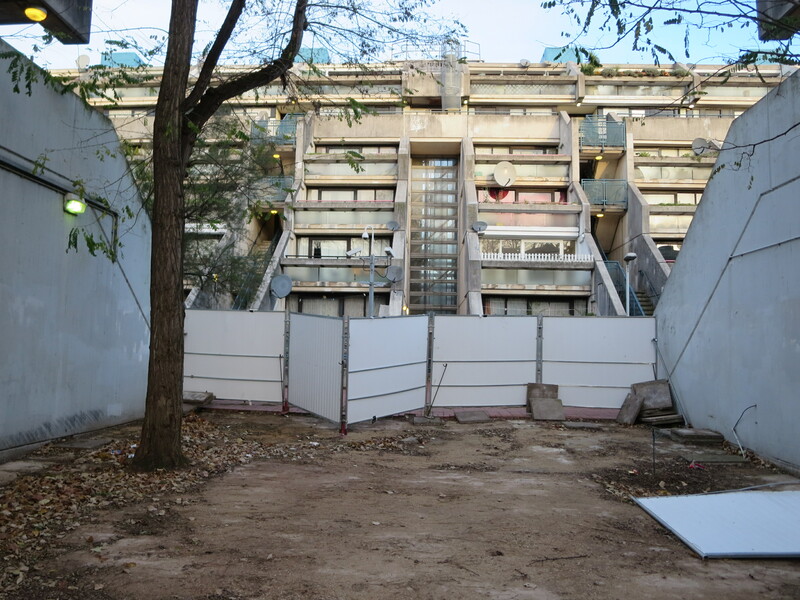 9th February 2015 – Site visit by the project board. 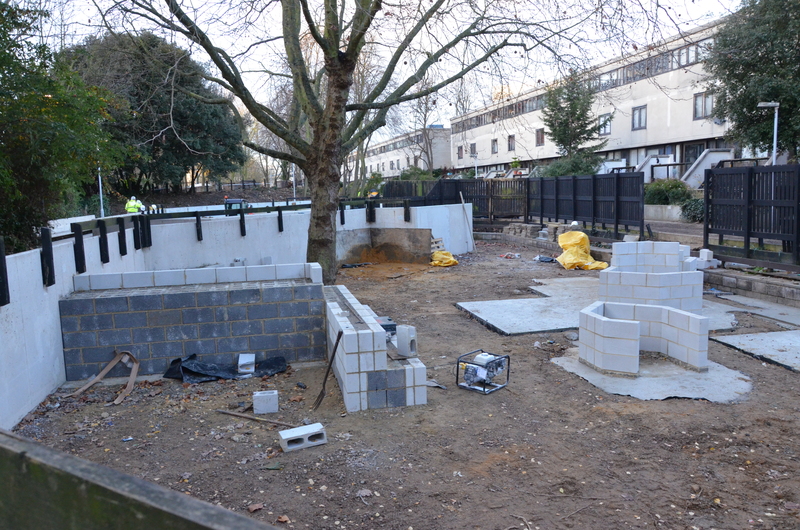 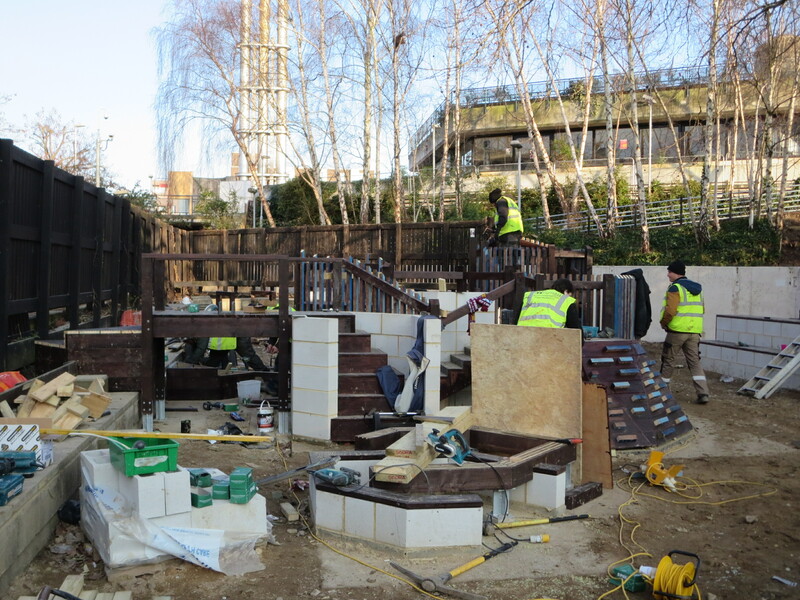 There has been quite dramatic progress since our last visit in December, and some areas at the eastern (TRA) end of the park are starting to look almost finished now! 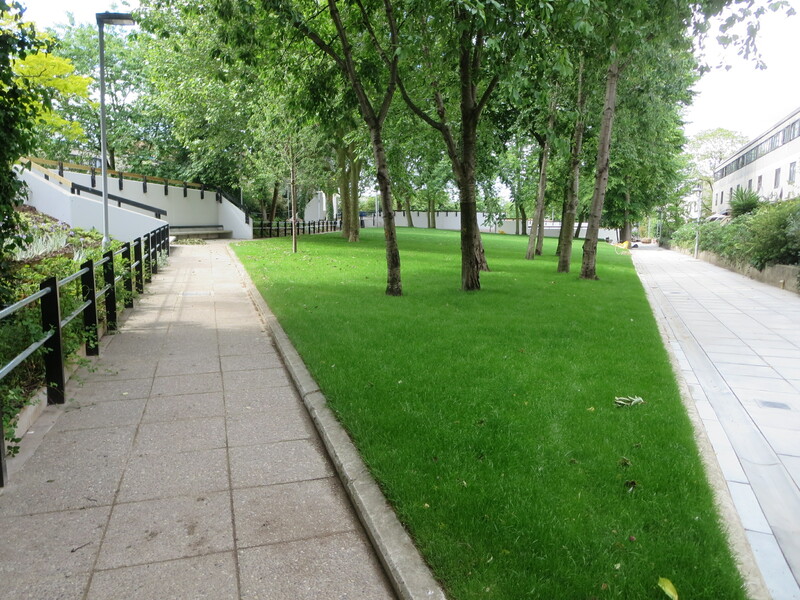 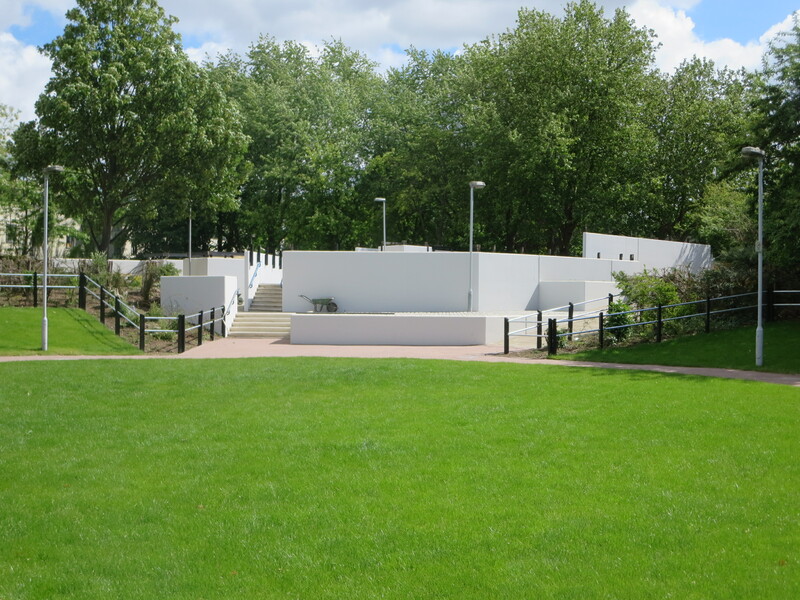 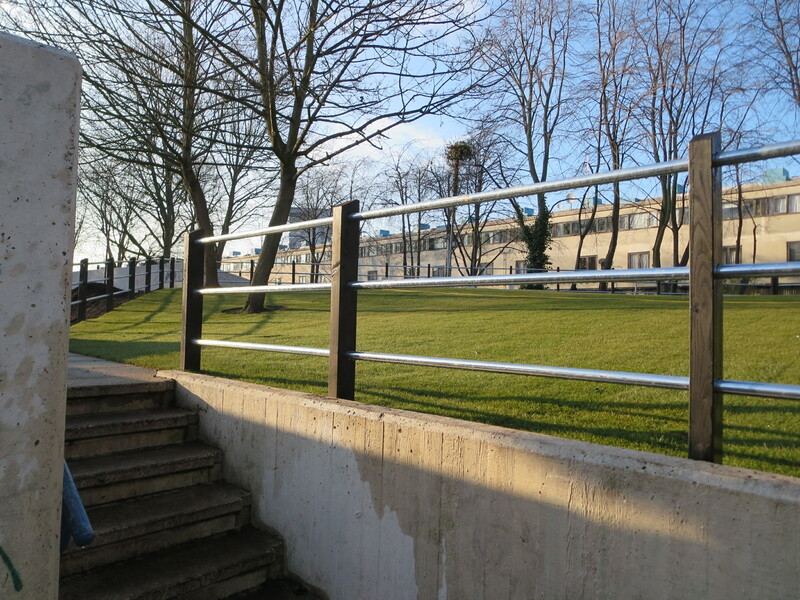 The mound – walls, fences and grass looking wonderfully pristine! 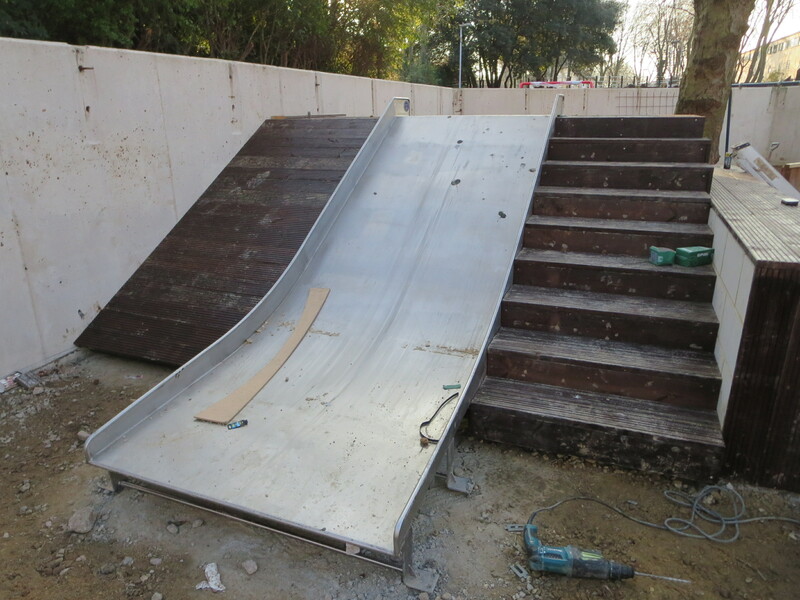 The new extra-wide toddler slide! 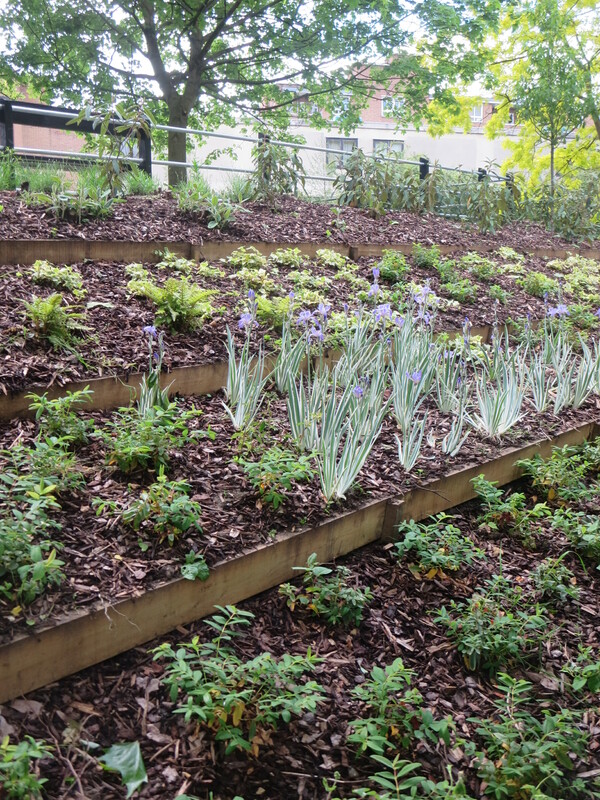 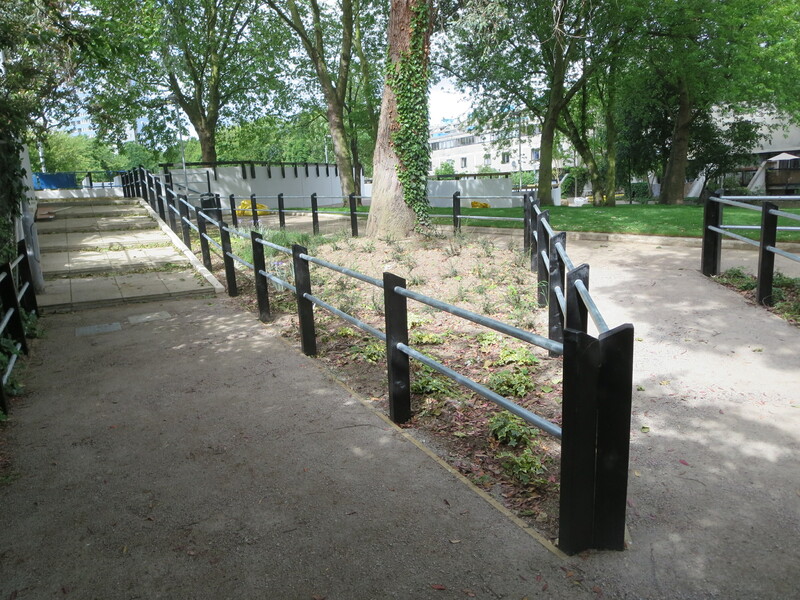 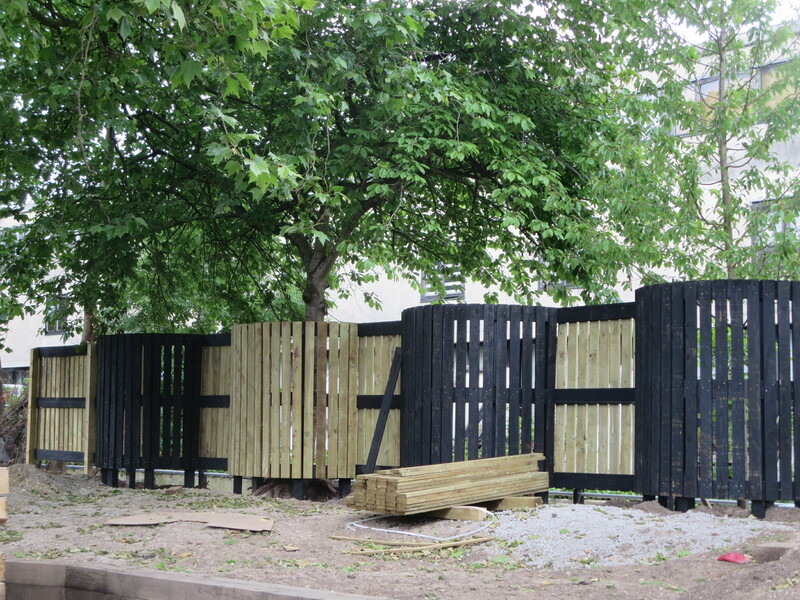 The park is now almost ready to reopen – there are just a few areas still to finish during June, in particular installing the new climbing frame in Playground 2 and completing the planting. 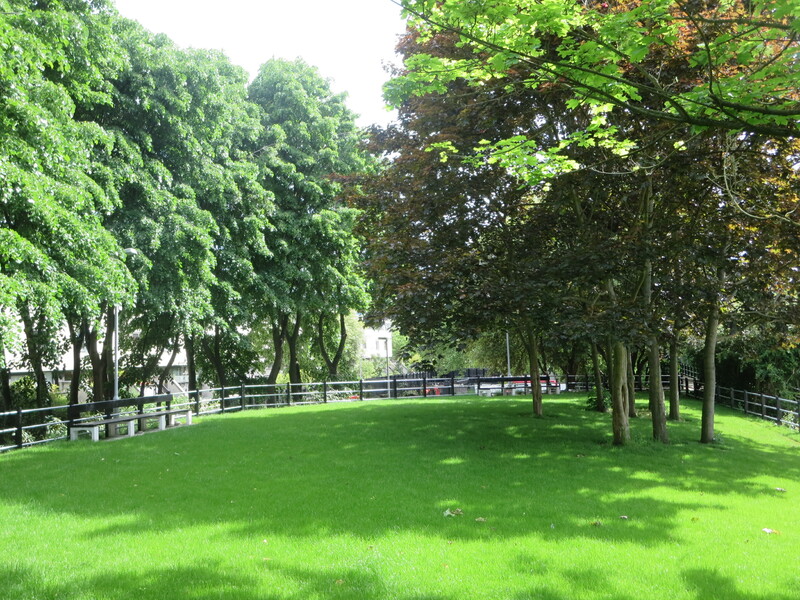 It was a lovely sunny day for this visit and the park was looking amazing! 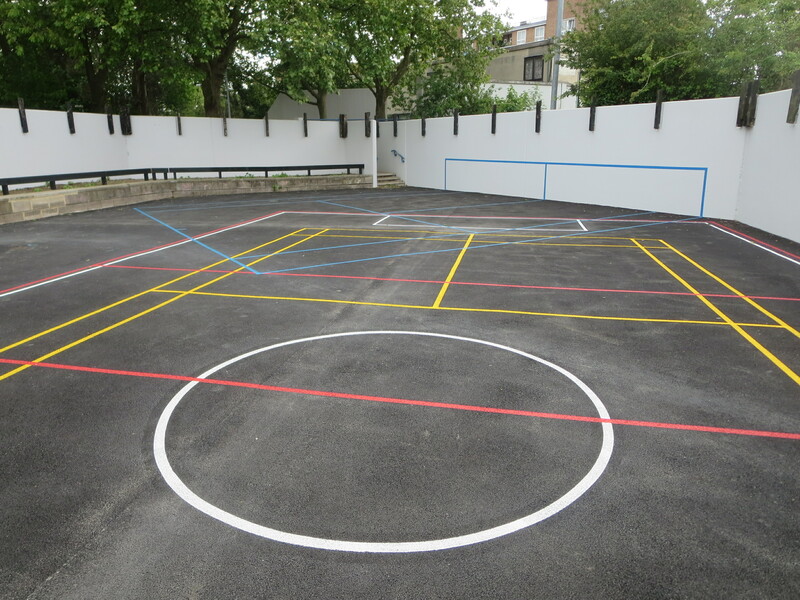 Playground 2 – ready for badminton, tennis, netball or whatever else you fancy!! 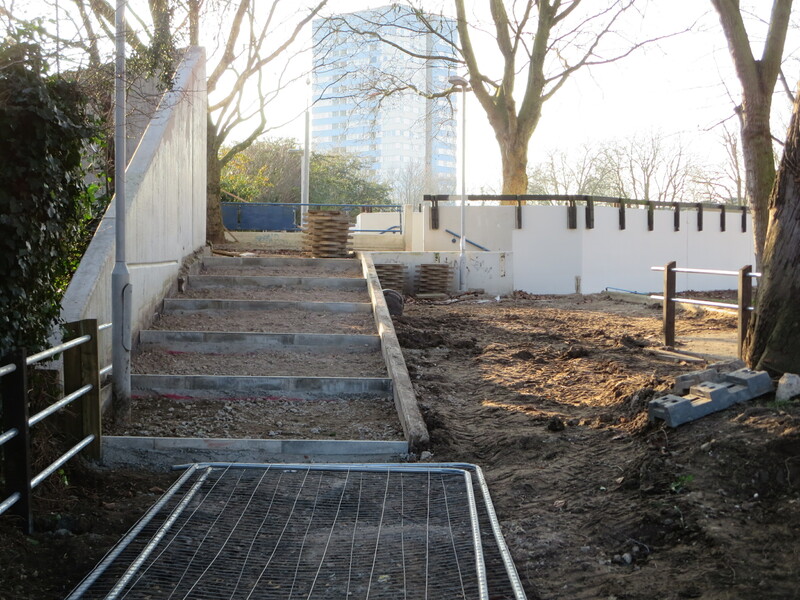 Note the timber balustrades around the walls being replaced – so nice to see them complete again without missing and rotten sections! 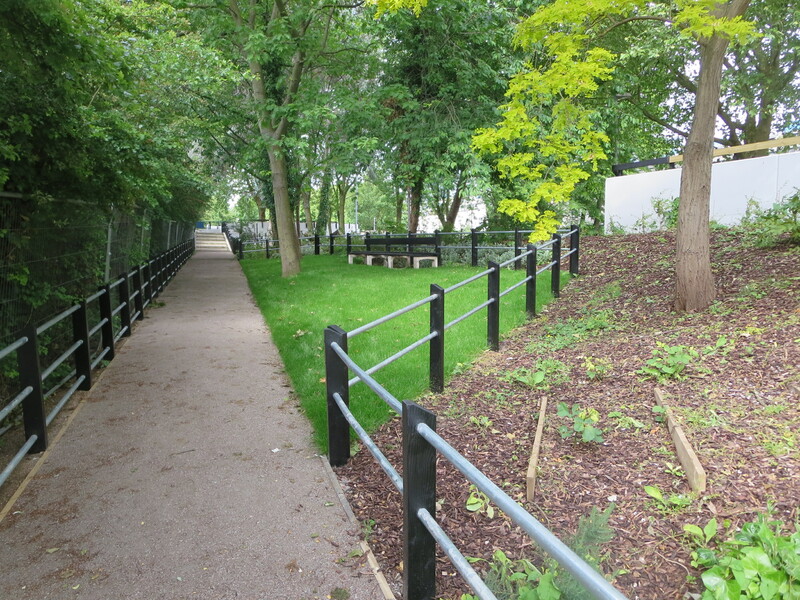 The brand new accessible cut-through from the woodland walk to the meadow – it feels like it has always been there! 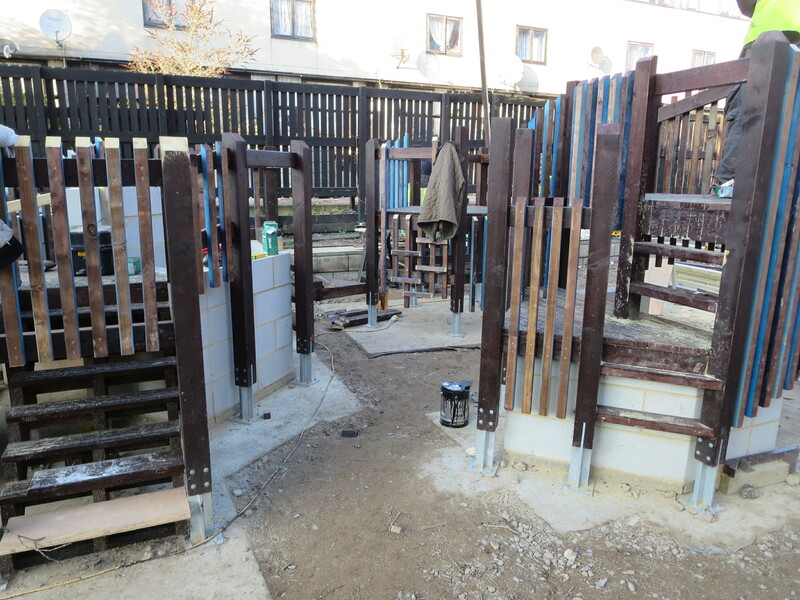 The babies’ playground is going to be such fun! 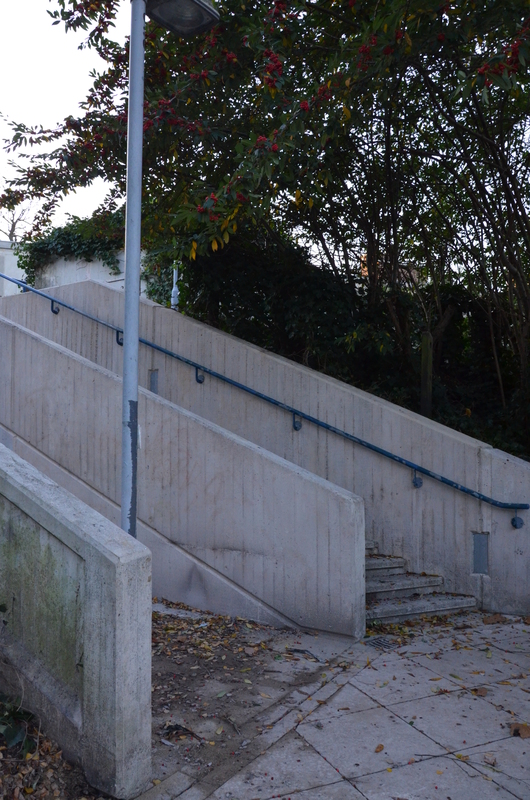 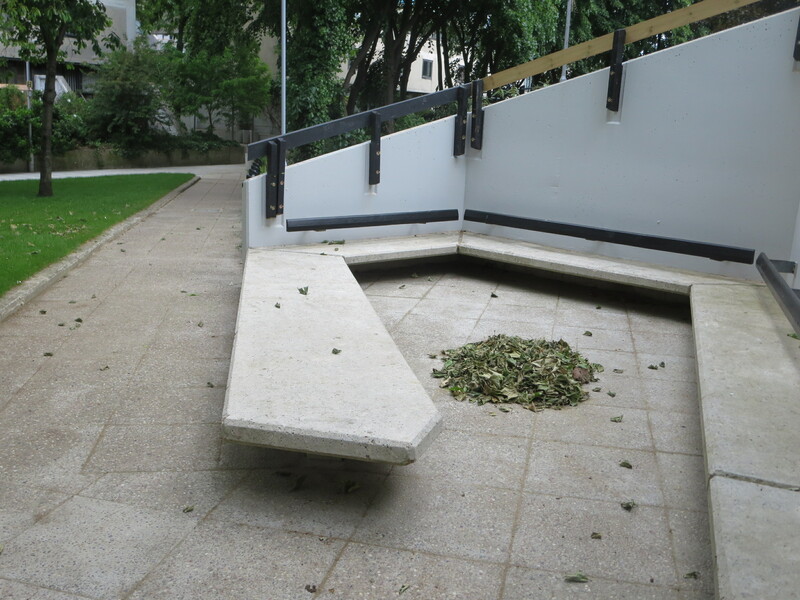 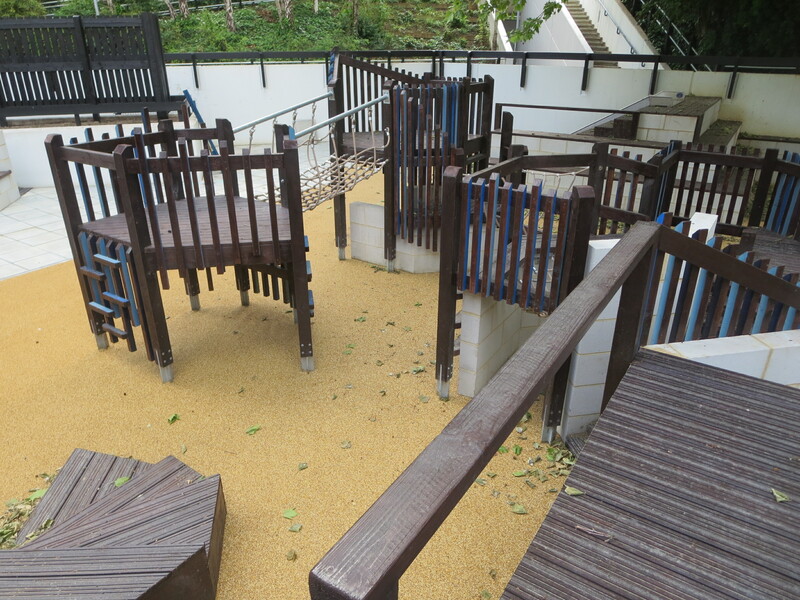 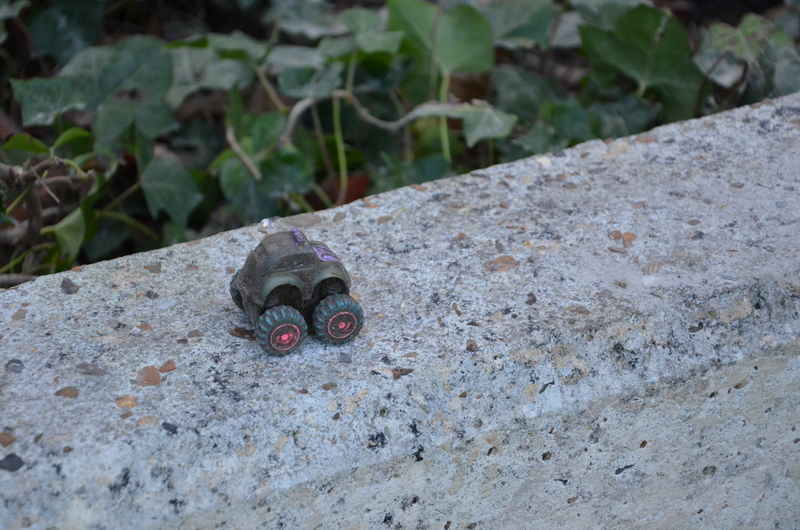 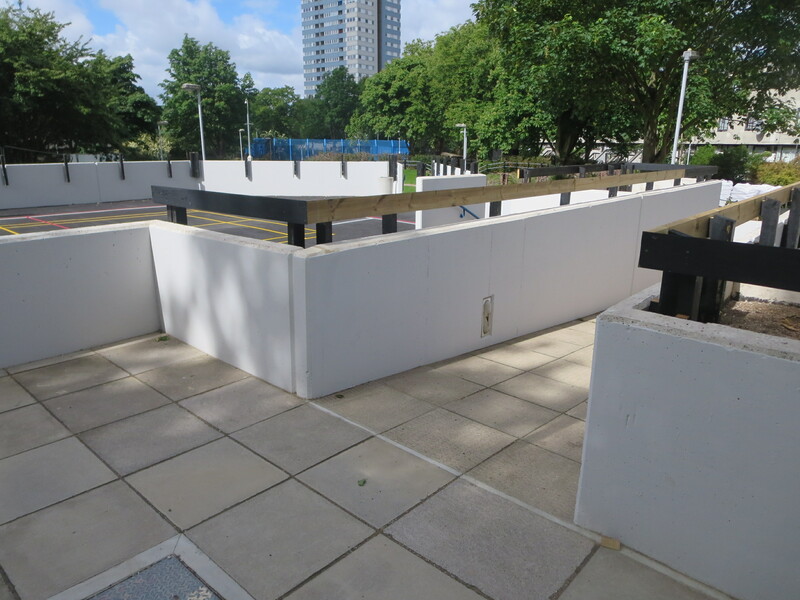 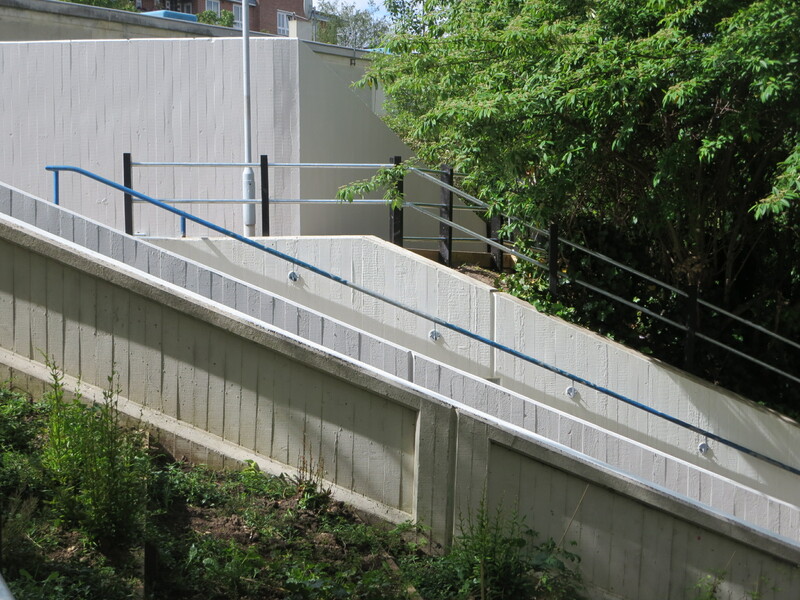 Babies’ playground showing some of the lovely design features – cast concrete stepping stones along the low wall! 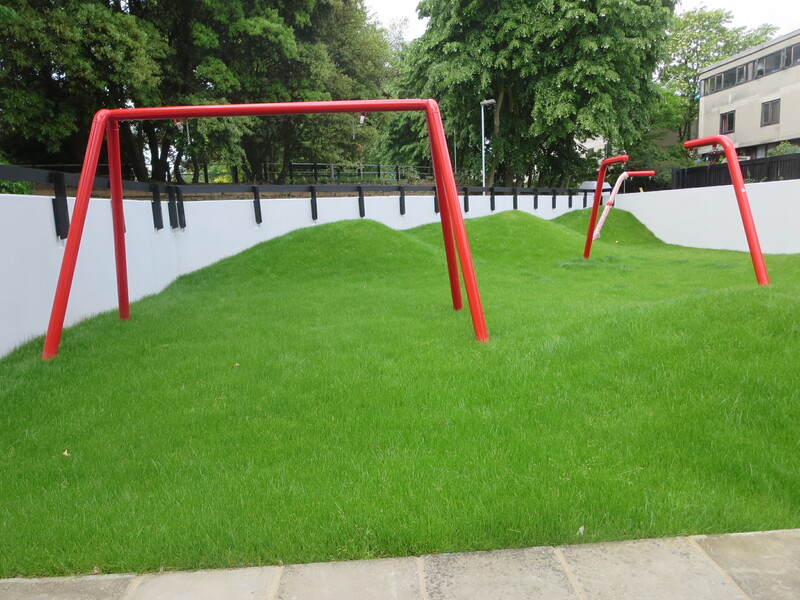 The swing park – that is real grass believe it or not! 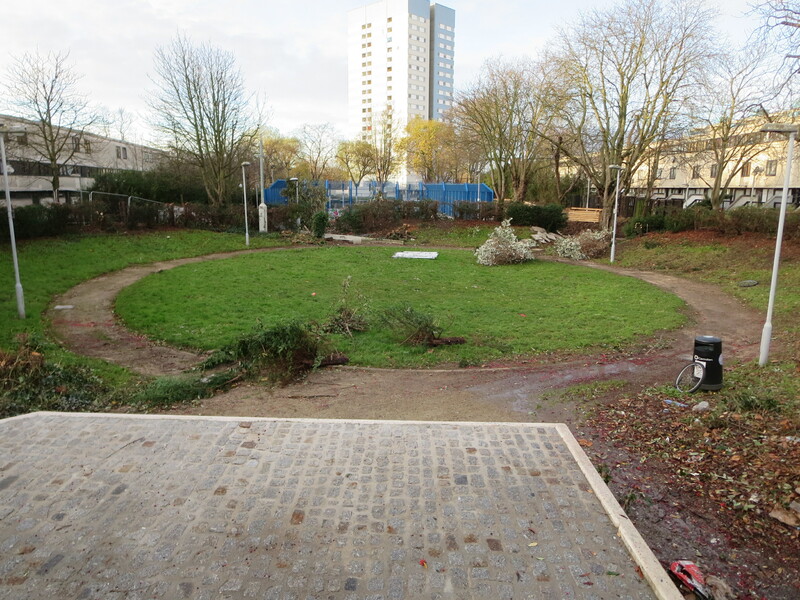 The glorious bowl and stage!